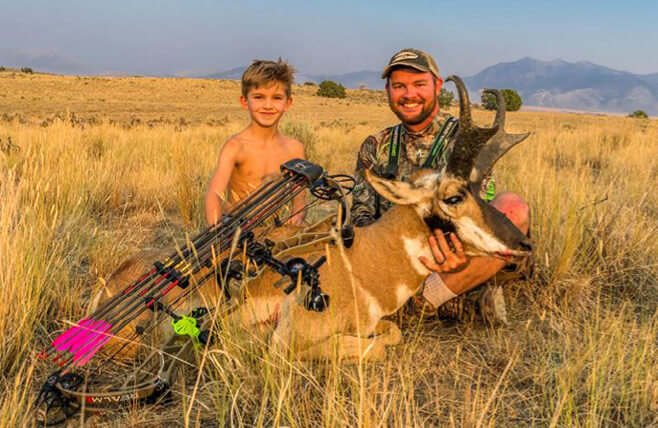 Jearred Foruria and his 2018 antelope. A That portion of Unit 144 in Eureka County. B That portion of Unit 144 in White Pine County. Eligible persons may apply for both antelope horns longer than ears AND antelope horns shorter than ears hunts, but may only obtain one (1) antelope tag per year. C Within 1 mile of the Baker Ranch Properties, non standard hunt.